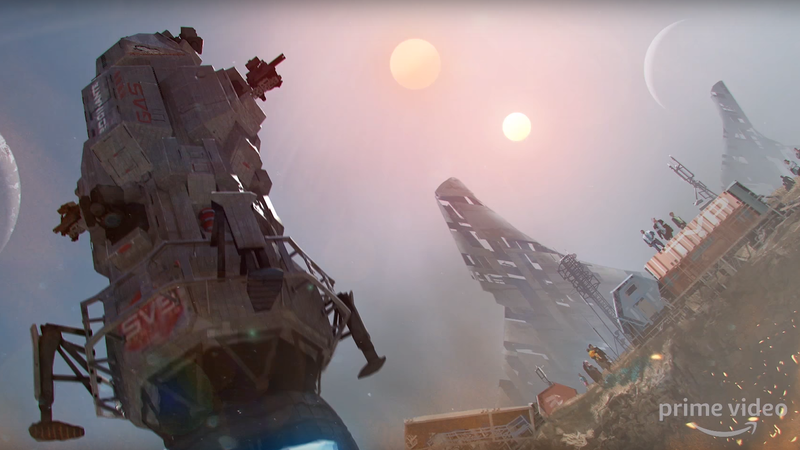 New concept art for The Expanse. All good dogs go to heaven, and all good shows get hot streaming revivals. Or, well, it worked out for The Expanse, anyway. The wildly beloved (and for good reason) space opera epic The Expanse is slowly gearing up to return for its fourth season, the first at its new home on Amazon’s streaming platform, and just in time for New York Comic Con Amazon has released an exciting behind-the-scenes video to satiate our hunger for sweet space action. Unfortunately, The Expanse missed NYCC proper, but this video has some pretty tantalizing hints in the meantime. In addition to the broad enthusiasm of the cast and crew, there’s some striking concept art and a few neat new costumes to speculate about.